Of course you remember body glitter. 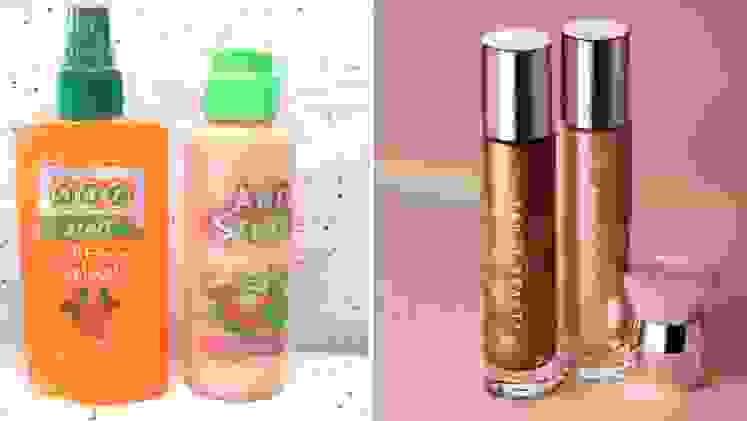 We ‘90s babies took pride in our Bath & Body Works’ Art Stuff Club memberships and rolled on sticky, apple-scented glitter everywhere from exposed shoulders to eyelids. Most of us swore the stuff off as we (and our makeup regimens) grew up—or maybe we just got one glitter flake too many in the eye. But body glitter is back in a big way. Rihanna's Fenty Beauty has high-impact glitter formulas in everything from lipgloss to body lotion, and the red carpet is full of shimmery collarbones and highlighted cheekbones (see Blake Lively). 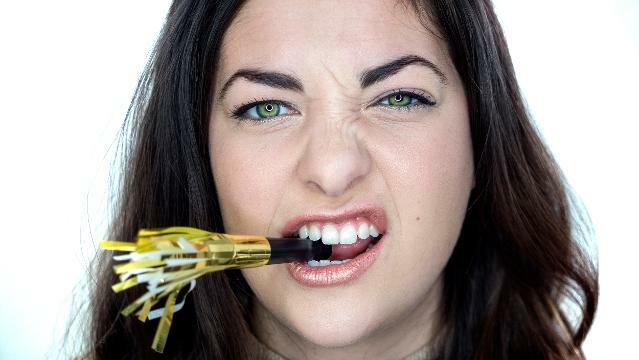 Luckily, 2018 body glitter is a lot different than what we're used to. Gone are the days of saccharine, sticky formulas, replaced by smooth, hydrating, weightless products that are truly comfortable to wear and look elegant. Even better, ultra-fine shimmer has taken the place of chunky glitter flakes—many formulas actually use finely ground pearls to get an elegant sheen. The body glitter today is soft enough for daytime looks and, of course, is great for nights out and special occasions. Below are a few of our favorite new products—and, naturally, their predecessors. RIP Art Stuff Club. You don't have to douse yourself in VS's Love Spell anymore, because Pinrose just flipped its cult-favorite fragrance into a multi-sensory experience—now, you can see their bestselling spicy vanilla perfume. The aptly named Secret Genius Shimmer Mist is loaded with iridescent pink and silver sparkles that leave skin glowing and smelling like the full-bodied scent we’ve come to know and love. It’s perfect for spritzing on collarbones, day or night. I’m not saying this cleverly-named “glotion” will make you look like Blake Lively, but it did give her an ethereal glow at this year’s Met Gala. The highlighting formula, available in four shades, hydrates and luminizes skin. Mix it with moisturizer for an all-over fresh glow, or dab it on cheekbones and browbones to see it in action as highlighter. It replaces the roll-on glitter we used all over our faces, despite warnings against doing so. Calling this thing a Fairy Bomb is right on the money: it’s an oversized glittering puff by Fenty that’s pre-loaded with superfine rose gold shimmer (called, fittingly, Rosé on Ice). The shade is a universally flattering prismatic pink that lights up all skin tones and with soft vanilla-coconut scent. It's reminiscent of Benefit's Kitten collection, which I displayed on my vanity through high school. Rihanna’s Fenty Body Lava practically broke the internet when it dropped. It’s expensive yet so coveted that you’ll have to join a waitlist to get your paws on the $82 bottle of body shimmer—the people want to look like Rihanna, and we can’t blame them (did you watch this video?). If you can’t wait (or simply don’t want to foot the hefty bill) of Body Lava, The Body Shop has the best dupe on the market with its Honey Bronze Shimmering Dry Oil, which is a close color match to Fenty’s Brown Sugar shade at a fraction of the price. Why did we love Juicy Tubes so much? The gloss was thick and goopy, the colors weren't particularly flattering, and it cost a month's worth of allowance. Ciaté's glitter lipstick is worth the splurge. It applies as a metallic matte liquid lipstick until you press your lips together: It then transforms into a no-mess, full glitter lip. The magic show is half the fun—the on-trend glitter lip doesn't hurt either.